Beverly R. Hunt Tax & Accounting Service : Welcome to Our Website! Are you a Spanish-speaking Taxpayer? Stay alert to tax and accounting news by viewing our News, Newsletter and Resources pages. Register your email address to receive important announcements through Service PLUS! Browse the pages of this site and feel free to email any questions, suggestions or other feedback. This web site is meant to be an extension of services provided to you. Visit often as additional news and helpful information will be continually added in an effort to serve you better. Copyright Beverly R. Hunt Tax & Accounting Service © 2019. IRS Circular 230 Disclaimer. 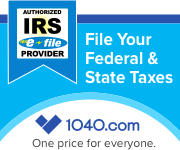 In accordance with IRS Circular 230, the content on this website is not to be relied upon for the preparation of a tax return or to avoid tax penalties imposed by the Internal Revenue Code. If you desire a formal opinion on a particular tax matter for the purpose of avoiding the imposition of any penalties, please contact us to discuss the further Treasury requirements that must be met and whether it is possible to meet those requirements under the circumstances, as well as the anticipated time and additional fees involved. Confidentiality Notice. The information on this website is confidential and may be privileged or protected by other rules, including but not limited to the Electronic Communications Privacy Act, 18 u.s.c. SS 2510-2521.